This course will provide the student with an overview of a wide variety of software starting from the basics to high-level programming languages. 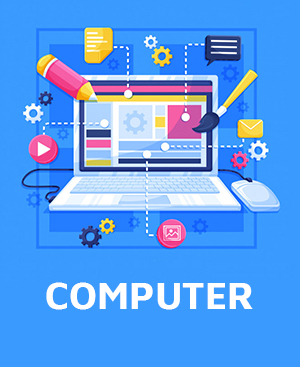 This when coupled with instructions on the best principles of teaching will allow the student to become a competent teacher in a wide variety of computer subjects. Eligibility : minimum education requirement- 10th passed. Scope: computer education has become very integral part in all sectors and thus widening the network of private institutions, schools, efforts of ngos etc. Our candidates can pursue the career as faculty or computer trainer in any of such institutions. With the multiple skills gained there is opportunity to adopt career in diversified fields like publishing, accounting, web developers etc.